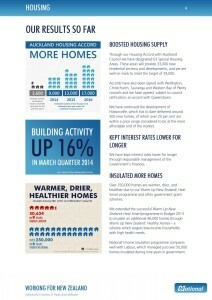 Here is Our 2014 Election Policies | @NZNationalParty in September 2014. Excerpts are on our own. Between 1990 and 2011, real agriculture GDP increased 48 per cent. Over the same period, agriculture emissions increased by just 12.1 per cent. Here is PROTECTING OUR ECONOMY: OUR CONSERVATIVE PLAN (pdf) | @CPC_HQ in October 2015. Excerpts are on our own. From the days of the French and British traders who first laid the foundations of our modern economy, Canada has been a trading nation. Trade is the lifeblood of our economy. It accounts for 60 percent of our GDP, and one in five Canadian jobs. Canadian businesses and workers know instinctively that we can compete with the world’s best as long as the playing field is level. We also know that we’re better off when our goods and services can reach global markets without barriers and restrictions. Yet previous governments failed Canadians when it came to negotiating trade access for Canadian products. While other countries were busy signing free-trade deals and receiving preferential access to important markets, the Liberals weren’t even at the negotiating table. And Canadian businesses and workers suffered. Our Conservative Government has reversed this inaction and opened up new markets for Canadian products and services. When we took office Canada had free trade agreements with only five other countries. 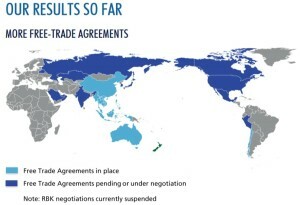 We’ve now reached agreements with 44, countries, encompassing more than half the global marketplace, including historic trade deals with South Korea and the European Union, with its 500-million person, $18-trillion economy. These agreements have given Canadian businesses and their workers access to more than half the global marketplace. Yet there’s more to accomplish. In the past few days we have concluded the Trans-Pacific Partnership (TPP) agreement with 11 other founding countries, including the United States, Japan, Australia, and New Zealand. The TPP is the largest free trade deal in history. It gives greater access for Canadian goods and services to almost 800 million consumers throughout the fast-growing Asia-Pacific region. It’s a great deal for Canada that will significantly benefit our economy and Canadians’ prosperity. The TPP will protect and create jobs, grow Canada’s economy, and provide financial security to workers and businesses in all regions of the country. It guarantees preferential access for Canadian goods and services in a range of sectors including agriculture and agri-food, fish and seafood, forestry, metals and mining, and manufactured industrial goods. ~ The Trans-Pacific Partnership is a historic agreement that will protect and create jobs, and grow Canada’s economy now and in the future. That’s why a re-elected Conservative Government will ratify and implement the TPP. — continue to thrive. To ensure stability for supply-managed farmers through the implementation of our trade agreements, we’ve established long-term income and quota guarantee programs. And we’re supporting investment in cutting-edge technologies for our processing sector and marketing of world-class Canadian products, which are of the highest quality. Free trade only works when it’s also fair – and this means a modern and effective system of remedy when a Canadian company has been treated unjustly. ~ Mandate the Canada Border Services Agency to carry out a full investigation of trade complaints even in cases when preliminary reviews by the Canadian International Trade Tribunal come back negative. ~ Require the Canadian International Trade Tribunal to carry out an automatic five-year review of every finding of non-compliance, to ensure the conflict has been resolved in a satisfactory manner. ~ Continue to work with stakeholders such as the Canadian Steel Producers Association to ensure that the system is effective and accessible, and ultimately creates a level-playing field for Canadian businesses. The federal government provides a wide range of programs and services to firms looking to invest in Canada and to Canadian businesses trying to sell their goods and services abroad. These initiatives help attract investment and job creation in Canada and support export-oriented Canadian businesses in their search for new market opportunities and new customers. There remains, however, room for improvement. The system can be difficult for small firms to navigate. Government efforts to attract investment and promote job creation can sometimes be stymied by a lack of coordination. ~ A re-elected Conservative Government will establish an Investment and Trade Promotion Office with a mandate to coordinate the government’s various efforts to encourage businesses in other countries to invest in Canada, and to promote Canadian exports abroad. The Office will be a one-stop shop to attract investment and product mandates to Canada and help growing Canadian businesses enter new markets. In a fast-changing world, here’s one thing that hasn’t changed: Canada’s manufacturing sector is absolutely vital to our growing economy. It accounts for about 11 percent of our GDP, 61 percent of Canadian exports, and provides good, secure jobs to almost 1.7 million Canadians across the country. Indirectly, it employs many millions more. Manufacturing firms pay out $1.85 billion weekly in salaries to Canadian workers across the country. But what is changing is the nature of the work. It’s becoming more skilled, more specialized, and more globally competitive. Liberal leader Justin Trudeau says that manufacturing’s time is passed, that it’s time for Canada to “transition away” from manufacturing. Our Conservative Government disagrees. Manufacturing has played a key role in Canada’s economy since before Confederation – and, with the right plan, will continue to sustain high-quality, high-paying jobs and economic activity across the country. ~ Lowering taxes to make it easier for manufacturers to invest in advanced technology and equipment. ~ Helping Canadians acquire the skills and training they need to take advantage of new opportunities in manufacturing. ~ Opening new markets for manufacturers to find customers and sell their products. ~ Making strategic investments to encourage research and development and the creation of new products and technologies. This is what our manufacturing strategy is all about. And it’s working. Manufacturing wages are up nearly 20 percent since we’ve come to office. Manufacturers need to invest in new machinery and equipment to remain globally competitive, expand their businesses, and create good new jobs. To help with this, we’ve reduced taxes steadily on these investments. ~ A re-elected Conservative Government will carry out our ten-year plan to lower the tax burden on Canadian manufacturers that acquire the machinery and equipment they need to succeed. Canada is attracting high-quality, value-added manufacturing investment. But more can be done to bolster advanced manufacturing across the country. ~ A re-elected Conservative Government will support a new Advanced Manufacturing Hub in partnership with employers, our colleges and universities, and other stakeholders to encourage the development of new cutting-edge products and technologies. The new center, located in Southwestern Ontario, will become a catalyst for high-quality, value-added investment and jobs in the manufacturing sector. ~ A re-elected Conservative Government will establish a $100-million Manufacturing Technology Demonstration Fund to support large-scale, cutting-edge manufacturing projects in the developmental, pre-commercial stages. This fund will build on our existing significant investments in science and technology to make Canada a world leader in new manufacturing technologies. ~ We’ll also renew the Automotive Innovation Fund for ten years, beginning in 2018-19, at baseline funding of $100 million per year. This will help to create a stable, predictable environment for new automotive investment in Canada. ~ In addition, we’ll change the program’s parameters in the immediate term to include bricks and mortar as eligible expenses and offer grants rather than repayable loans for greenfield investments and investments in existing facilities that guarantee a long-term presence and operation. We still believe the phrase “Made in Canada” translates well around the world: It means high-quality goods built by highly skilled workers, and it inspires confidence that a product is the very best. And on our watch, Canada will never turn away from this legacy of excellence. The marketplace is dynamic. Canadian businesses grow and succeed by staying ahead of the competition. This means adopting new technologies and developing new goods, services, and processes. Staying ahead means never growing complacent and always innovating. Our Conservative Government has helped Canadian businesses invest an targeted tax relief, new financing to develop products and processes, and partnerships with universities, colleges, and polytechnics to test out new ideas and turn them into the next big technology success story. ~ Implementing the $100 million Automotive Supplier Innovation Program to support product development and technology demonstration by Canadian automotive parts suppliers. ~ Rolling out the $200 million Advanced Manufacturing Fund to support new and innovative products and production methods in Ontario. ~ Working with Canada’s world-leading aerospace industry to develop a national supplier development initiative to ensure Canada’s aerospace industry remains a global technology leader and a major source of high-quality jobs. ~ Continuing our participation in the International Space Station which will mean new opportunities for Canada’s space industry, and expanding support for Canada’s satellite telecommunications sector through its partnership with the European Space Agency. ~ Providing ongoing support to the National Research Council’s transformation to better serve the research and development needs of Canadian businesses. This includes ongoing support for the Industrial Research Assistance Program which is helping small- and medium-sized businesses finance research initiatives. ~ Expanding our support for the National Optics Institute in Quebec City, to continue its leadership in business-oriented optic and photonic research. We’ll also continue to support research and development at Canada’s universities, colleges, and polytechnics. Our Government has invested over $13 billion in science, technology and innovation since 2006. And Canada has consistently ranked first in the G-7 for research and development spending in the higher education sector as a share of GDP. ~ Implementing the $1.5 billion Canada First Research Excellence Fund to support world-leading research projects that create long-term economic advantage for Canada. ~ Continuing to support the Canadian Foundation for Innovation to finance research infrastructure on university, college, and polytechnic campuses. We’ll provide $1.33 billion over six years, starting in 2017-18, to support the Foundation’s ongoing work. ~ Investing in ongoing support for the Social Sciences and Humanities Research Council, Canadian Institutes of Health Research, and the Natural Sciences and Engineering Research Council. It’s no exaggeration to say that the family farm is the foundation of the Canada we love today. The products have evolved, the markets have changed, and the technology has advanced, but some things remain constant: From before the sun comes up to long after it goes down, farmers across Canada do the backbreaking work that feeds the country. The work is hard, and financially risky – but absolutely vital to Canadians. It’s also vital to our economy. The agriculture and agri-food sectors account for more than $100 billion in economic activity every year, and employ more than two million Canadians. The importance of agriculture to our national interest can’t be overstated. And our Conservative Government’s support for farmers is unwavering. A significant part of our support for the sector has been dedicated to innovation and crop science. Our Government has consistently supported strategic research and development by industry into agricultural technologies, processes, practices and services – research that drives growth and creates jobs and opportunities in the industry by making it more sustainable and more globally competitive. The projects we are supporting are as diverse as the industry itself. The Agri-Innovation program, for instance, has been used to develop pest-management tools in the blueberry industry; to find new and innovative ways to turn food by-products into environmentally friendly, value-added goods; and to increase the competitiveness of our food-processing industry while making our food better, healthier, and safer. ~ A re-elected Conservative Government will increase funding to the Agri-Innovation program by $100 million over three years, and make projects driven by universities and colleges eligible for financing. Our farmers and their produce can compete with the best in the world. Our Government has been there to help them enter global markets and find new customers. We established the Market Access Secretariat in 2009 to serve as a single-window to help Canadian farmers with trade-related issues. We’ve hired trade commissioners dedicated to agriculture issues. And we’ve co-funded marketing activities with industry to enhance Canada’s agricultural presence in priority markets. ~ A re-elected Conservative Government will increase support for the Agri-Marketing Program to help promote Canada’s agricultural and agri-food products around the world, building on our international reputation for excellence and increasing the visibility of the Canadian brand in important markets. ~ We’ll also continue to expand the activities of the Market Access Secretariat to help Canadian farmers diversify into new markets. ~ As we open new markets for agricultural products, we’ll continue to stand up for Canadian farmers and industries by defending our system of supply management in all international forums and trade negotiations. We understand that market access also requires a robust transportation system with fair rules and accountabilities. Our Government passed the Fair Rail for Grain Farmers Act in May 2014 to provide more certainty and better service standards with respect to grain volumes for farmers and shippers. We also launched a broader review of our transportation system to determine what policy changes should be made to address key issues facing the transportation sector, including ensuring Canada’s supply chains have the capacity, flexibility and resiliency to meet future demands. The review panel, led by the Honourable David Emerson, will provide recommendations to the government later this year. ~ A re-elected Conservative Government will take action to improve Canada’s transportation network and support market access for Canadian farmers, based upon the recommendations of the transportation review. Commercial fishing has been a pillar of the Canadian economy since the 16th century. Today, Canada’s commercial fishery employs, directly and indirectly, about 80,000 Canadians, and exports about $5 billion worth of fish and other seafood every year. ~ New measures targeting fish harvesters who are not compliant with the Preserving the Independence of the Inshore Fleet in Canada’s Atlantic Fisheries Policy. ~ Ongoing maintenance and upgrades to Canada’s small craft harbours – including more than 250 small craft harbour improvement projects planned over the next two years. ~ Establishing and expanding the Recreational Fisheries Conservation Partnerships Program to conserve and protect Canada’s recreational fisheries. The program has funded nearly 300 conservation projects across the country to date. A re-elected Conservative Government will continue to build on these initiatives with a focus on science, marine conservation, and promote Canadian products in new markets including through the Trans-Pacific Partnership. Canada’s most important commercial fishery is lobster, with exports generating more than $1 billion a year. It has supported Canadian fishing families for more than a century, and plays a substantial role in the economies of coastal communities in Atlantic Canada and Quebec. Our Government has seen the lobster fishery through good times and bad, including investing significant funds through the Community Adjustment Fund-Lobster Initiative and the Short-Term Transitional Measures Program to help the industry through the global recession. And the Atlantic Lobster Sustainability Measures Program provided support for restructuring and rationalization, as well as conservation and stewardship programs to support the long-term sustainability of the industry. ~ A re-elected Conservative Government will fund a new lobster branding initiative to be carried out in co-operation with the Lobster Council of Canada. This measure will support the Council’s work promoting the Canada Lobster Brand both here at home and in export markets around the world. We’ll also pursue new markets for Canadian lobster. ~ A re-elected Conservative Government will also work in collaboration with the provinces and the University of Prince Edward Island’s AVC Lobster Science Centre to pursue biomass research, gaining valuable information that will inform policy decisions affecting the lobster fishery for years to come. ~ We’ll also support the Atlantic salmon fishery by confronting Greenland on the issue of overfishing Canada’s Atlantic salmon stock and increasing the harvest of striped bass to improve the survival of juvenile Atlantic salmon, following receipt of an upcoming Department of Fisheries and Oceans scientific study. Our sealing industry is of vital importance to many coastal communities, in particular among Canada’s Aboriginal peoples. ~ A re-elected Conservative Government will continue to pursue new and expanded markets for these products, including establishing a system of certification to demonstrate that products resulting from Aboriginal hunting meet European Union standards. As part of the completion of the Canada-EU Free Trade Agreement, we’ve committed to working with the Government of Newfoundland and Labrador to provide support for those affected by the elimination of minimum processing requirements (MPRs) in the fishery sector. ~ A re-elected Conservative Government will continue to work with the province to provide compensation for losses arising from the gradual elimination of these requirements. We have set aside $280 million ($93 million per year over 3 years) for this purpose which is intended to be matched 70:30 by the province. In the event that we cannot reach an agreement with the province to deliver a joint compensation program, we’ll compensate workers directly who have been negatively impacted by MPR phase-outs. Canada is a global leader in the mining sector. From Yukon’s gold to Labrador’s iron, the industry provides almost 400,000 Canadians across the country with jobs that, for the most part, are the highest-paying industrial jobs in the country. It’s the main business for 150 communities in rural and northern Canada, and employs the largest number, proportionally, of Aboriginal Canadians of any industry. We’re committed to ensuring this vital sector remains a source of jobs and opportunity for Canadians for generations to come. The Mineral Exploration Tax Credit has helped junior mining companies raise more than $5.5 billion for exploration since 2006. In 2013 alone, more than 250 companies used the credit to raise financing from 19,000 individual investors. ~ A re-elected Conservative Government will extend the Mineral Exploration Tax Credit for three years to support further mining exploration and investment. Meanwhile, the development of hundreds of potential mining projects in this great, vast country – such as the Ring of Fire in Northern Ontario and Plan Nord in Quebec – is challenged by the high cost of working far from transportation routes and supply centres. Many of these ventures could be economic game-changers for the Canadians living in the surrounding regions. ~ A re-elected Conservative Government will support economic development in these communities by establishing an enhanced Mining Exploration Tax Credit for northern and remote mining projects. These new commitments build on our current plan to support Canada’s mining sector. ~ A re-elected Conservative Government will continue to support jobs and growth in the mining industry by following through on our plan to invest further in the Targeted Geoscience Initiative, to promote increased mineral exploration by the private sector. ~ We’ll also expand the eligible costs under the Canadian Exploration Expenses policy to include environmental studies and community consultations. Canada is one of the world’s great energy suppliers, providing the world with everything from oil and natural gas to coal, uranium, and biofuels. 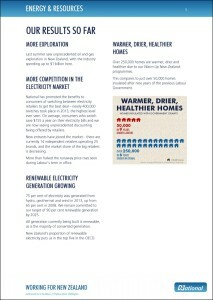 Not surprisingly, then, the energy industry is more than a source of power. Directly and indirectly providing good jobs for more than 900,000 Canadians, and accounting for almost one third of our merchandise exports, it’s also a significant source of opportunity and prosperity. But even those who don’t make a living in the energy industry benefit in real, substantial ways from its success. It contributes billions of dollars every year that governments spend on the programs and services that Canadians depend upon. ~ A re-elected Conservative Government will continue to support this crucial industry, and the many Canadians who depend on it for their livelihoods. This means not interfering in the independent project review process, and making final decisions on individual projects based on the science and recommendations of expert bodies. Canada is home to vast reserves of natural gas, a resource that holds immense potential for jobs and growth for generations to come if it can be exported to meet the ever-growing demands of countries in the Asia-Pacific region. The most efficient way to do this is to transport it in liquefied form, which means establishing facilities to process our natural gas for shipping. ~ A re-elected Conservative Government will follow through with its plan to support the creation of a Liquefied Natural Gas industry, helping investors meet their start-up costs by offering an accelerated Capital Cost Allowance on machinery and equipment used in processing facilities. Our Government has a strong record of co-funding investments in pre-commercial clean technology projects to help bring them to market. These investments are good for the environment and good for our economy. ~ A re-elected Conservative Government will continue to support Sustainable Development Technology Canada’s work to finance the development and demonstration of new, clean technologies that create efficiencies for businesses and contribute to sustainable economic development. The founders of Confederation bound our country together with a great railway because they knew a country of this size could not function without significant investments in infrastructure. It’s no different today. From highways, airports and harbours to subways, bridges and community facilities, infrastructure projects create good jobs for tens of thousands of Canadians, drive our economy, improve our quality of life, and connect us to each other. More than 95 percent of Canada’s core public infrastructure is owned by provinces, territories, and municipalities but, since 2006, our Conservative Government has made a historic commitment to supporting public infrastructure across the country. We promised in 2006 “a better approach to fixing Canada’s infrastructure deficit,” and we’ve delivered. Federal support for infrastructure has increased dramatically under our Government. Annual federal funding has increased from $571 million a decade ago to over $5 billion this year. And we have launched the largest, longest-running infrastructure program in Canadian history. Altogether, our investments in infrastructure for the years 2013-2023 will total almost $85 billion. This level of investment is without precedent, and we’ve accomplished it while bringing the budget back into balance and lowering taxes. Infrastructure is also key to trade, and Canadian products need modern infrastructure to travel efficiently to their final destinations at home and abroad. Our Government has made historic investments in improving our trade-oriented infrastructure such as ports, harbours, and rail. Improvements include major projects at Port Metro Vancouver, the Port of Quebec, the Port of Montreal, the Saint John Harbour Bridge, and the new Gordie Howe International Bridge between Windsor and Detroit. A re-elected Conservative Government will continue to support important economic investments such as these across the country. ~ We’ll launch the Quebec Maritime Prosperity Initiative to fund maritime and port infrastructure – including improvements to facilities for cruise ships and tall ships, such as the Quai Alexandra terminal in Montreal, the Ross Gaudreault terminal in Quebec City, and the restoration of Champlain – Foulon sector promenade. ~ We’ll fund key Asia-Pacific Gateway projects in Western Canada to strengthen our transport system and help Canadian businesses, including our farmers, get their products to market. ~ And we’ll support major public transit projects – such as Smart Track in the Greater Toronto Area, Light Rail Transit in Surrey and Ottawa, and Calgary’s Green Line – to fight gridlock, reduce travel times for commuters and businesses, and support new economic development. Governing is about making choices. We have chosen to keep taxes low, balance the books, and invest in infrastructure because we know that these things are good for our economy and good for Canadians. ~ A re-elected Conservative government will continue to invest in core public infrastructure, to keep our economy moving forward, and to make life easier and better for Canadians. 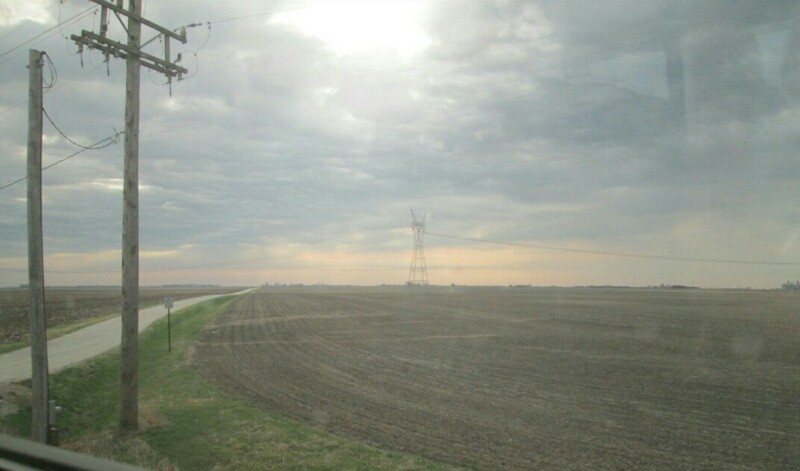 High-speed internet access is not just a quality-of-life issue – it’s critical infrastructure that contributes to business investment, job creation, and, ultimately, economic development in rural and remote parts of our country. Our Conservative Government has put significant effort and investments into extending high-speed broadband access to all Canadians. Our goal is to ensure that 98 percent of Canadian households have high-speed internet service by 2017, and we’re on track to meet this target. 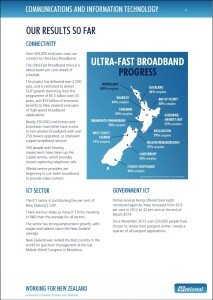 ~ A re-elected Conservative Government will build on our record of expanding rural internet access by funding high-capacity backbone – such as fibre optic cable networks or satellite – in hundreds of communities across the country, allowing people and businesses in northern and rural communities to access the internet at speeds currently enjoyed by Canadians in larger urban centres. 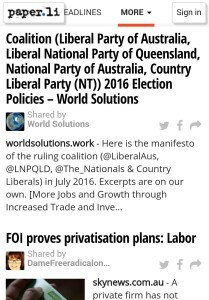 Here is the manifesto of the ruling coalition (@LiberalAus, @LNPQLD, @The_Nationals & Country Liberals) in July 2016. Excerpts are on our own. … Up to 10,000 new jobs are expected to be created in the financial services sector alone by 2030. In the first year of operation, our agreements with Korea and Japan delivered real benefits for the agricultural sector: the value of Australian exports of fresh beef to Japan increased by 22 per cent to just over $1 billion; exports of bottled wine to Korea increased 53 per cent; and China’s imports of fresh Australian lobster between January and March were triple those of 12 months ago. – negotiating free trade agreements with India, Indonesia, the European Union, the Regional Comprehensive Economic Partnership, and Pacific Island countries under PACER Plus, as well as pursuing new trade opportunities, including in the Indo-Pacific region. Labor closed Australia’s live animal trade overnight, damaging our reputation as a reliable supplier of quality agricultural produce. Labor damaged our reputation as an investment destination when it introduced the mining and carbon taxes. The Coalition abolished the mining and carbon taxes. Under Labor, the number of unemployed increased by 200,000, productivity declined by 0.7 per cent per year, working days lost to strikes doubled, and business red tape increased. Labor’s policies threaten the successful transition to the new economy, through damaging tax changes that will cut existing property values, a 50 per cent increase in Capital Gains Tax that will hurt investment, and refusal to support re-establishing the ABCC. … The Coalition has a strong record supporting innovation and startup businesses, investing around $10 billion a year on innovation, science and research. We are also delivering a $1.1 billion National Innovation and Science Agenda to boost innovation in Australia. In the knowledge economy, people are our greatest resource, and smart cities put people first. The Coalition will innovate with smart policy, smart investment and smart technology to ensure our cities are more liveable, more productive, and more prosperous. Our cities are at the frontline of action on climate change. That is why the Coalition will establish an investment fund to accelerate the deployment of clean energy, renewable energy and energy efficiency technology in cities through the Clean Energy Finance Corporation. These investments will drive new jobs and enterprise, reducing greenhouse emissions while making our cities more resilient, liveable and putting downward pressure on energy bills. Projects must demonstrate value for money and earn a financial return for taxpayers. Financial returns will be reinvested in new projects, creating a sustainable pool of funding with an annual investment target of up to $100 million each year. The Government is strengthening Australia’s national security and enhancing our prosperity after years of mismanagement by Labor. Our economic diplomacy strategy is delivering real benefits to Australian businesses and our economy and is generating jobs. The Coalition’s emphasis on consultation and mutual respect is building trust in Australia as a reliable partner of choice in the Indo-Pacific region. We are broadening and deepening our bilateral relationships with key strategic and economic partners including the United States, China, Japan, South Korea, India, Singapore and Indonesia. We are keeping Australians safe from terrorism by cancelling the passports of foreign fighters, making it an offence for Australians to enter declared terrorist-controlled areas in Syria and Iraq and working closely with regional friends and partners. We are refocusing Australia’s diplomatic, trade and development efforts on our region. We are delivering a sustainable, effective and affordable aid program that helps developing countries reduce poverty and promote sustainable economic growth, giving priority to women and girls, education, health and aid-for-trade. The Government’s student overseas study program, the New Colombo Plan, is supporting Australian university students to study and undertake internships in more than 35 countries in our region. This is building a generation of future Australian leaders with deeper understanding of our region and relationships to last a lifetime. A strong agriculture sector will boost Australia’s productivity, jobs and exports. The Coalition has delivered a $4 billion Agriculture White Paper that will support jobs growth in our regions, drive export opportunities for agricultural businesses, and encourage investment to ensure Australia remains a globally competitive agriculture producer. 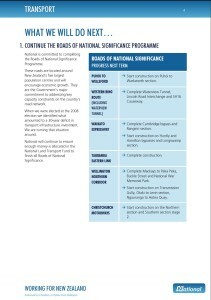 We are delivering significant commitments to the agriculture sector, including a $200 million increase in biosecurity funding, $190 million for rural research and development for profit, $100 million for pest and weed management, a $2.5 billion concessional loan programme for farmers, and a $500 million National Water Infrastructure Fund to provide future water security for our farmers. Australian agriculture is stronger under the Coalition. … When in government, Labor short-changed Australia’s agricultural sector, costing jobs and investment opportunities. Labor cut funding to Australian agriculture by $2.1 billion. Labor’s panicked reaction to an ABC TV programme devastated the Northern Australian cattle industry. Labor’s super trawler fiasco damaged Australia’s reputation as a trade partner. Regional Australia is critical to Australia’s economic prosperity and is home to around one third of Australia’s population. Regional Australia accounts for around 65 per cent of Australia’s export earnings by value and is a major source of domestic and international tourism. 45 cents in every tourism dollar is spent in regional Australia. Regional communities are benefitting from the Coalition’s economic plan. Our export trade deals have made it easier for regional businesses to export to Asia and our tax cuts for small business are creating new job opportunities. Regional communities are an attractive place to live and invest. They have a strong culture of innovation, offer diverse employment options, and attract the skills and talent needed to build successful businesses. While the opportunities for regional Australia have never been greater, the Coalition recognises that some regions have been impacted by the slowdown in mining, falling commodity prices and changes to the manufacturing sector. The Coalition will boost jobs, investment and growth in regional Australia. We will establish a $200 million Regional Jobs and Investment package to deliver regional jobs and growth. The Regional Jobs and Investment package will incentivise local businesses to invest and employ, enable regional communities to upgrade local infrastructure and deliver new skills and training programmes. The package will be delivered in partnership with local communities. The package will support regional communities to diversify their economies, create new export opportunities and help boost regional jobs. The Coalition will contribute $200 million to the Regional Jobs and Investment package and will leverage a further $200 million in matched funding. 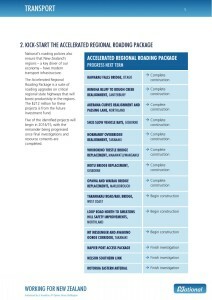 Individual regions will be able to access up to $30 million in funding. Our commitment will boost confidence, jobs, investment, and growth in regional Australia. … Labor’s policies will fail to deliver jobs and opportunities for regional Australia. 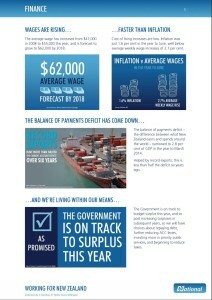 The Coalition’s policies are fully costed and we will deliver an improvement to the Budget bottom line. Our responsible and transparent approach to fiscally sound policy means that, compared to the Budget bottom-line in the Pre-Election Fiscal and Economic Outlook (PEFO), we will deliver a net improvement of $1.1 billion over the next four years. 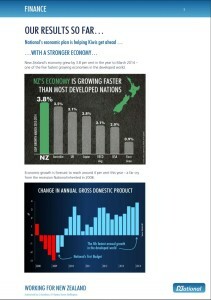 By contrast, Labor worsens the PEFO results by $16.5 billion over the four years, despite increasing taxes. Only the Coalition has a credible, fully-costed economic plan that will deliver jobs, promote economic growth, and deliver a secure future for Australian families. The Coalition’s fiscally responsible and transparent approach to policy will mean lower taxes for families and businesses, greater certainty and stability, and more opportunities for job and real wage growth. Our approach guarantees the protection of Medicare and funding for health, education and infrastructure. The Coalition has a strong economic record and a plan to continue to grow our economy in order to provide jobs into the future. The Coalition inherited a Budget in chaos from the Rudd-Gillard-Rudd years. 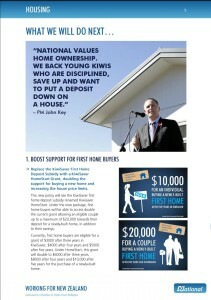 Living within our means is a key part of our National Economic Plan. Unlike Labor, all our policies are fully funded. This means we guarantee the protection of Medicare and funding for health, education and infrastructure. Labor have rejected this commitment. They are instead raising taxes and at the same time make the Budget deficit worse over the next four years. Under Labor, the deficit will be $16.5 billion higher than under the Coalition. This means Labor will be borrowing an average of $11 million more than the Coalition each and every day over the next four years. Three eminent economists have confirmed Labor will put Australia’s AAA credit rating at greater risk. This is simply not fair to Australia’s youth. High levels of debt shift the burden of paying for services Australian’s enjoy today on to our children and our grandchildren. 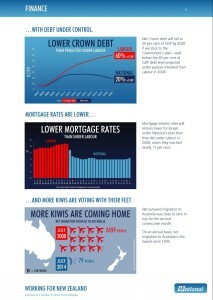 It’s the same old Labor – higher spending, higher deficits, despite increased taxes and higher debt. Here is NDP’s manifesto in October 2015. Excerpts are on our own. ~ Cutting taxes for Canada’s job creators by reducing the small business tax from 11 to 9%. ~ Supporting innovation and investment in companies creating jobs in Canada, with an early focus on the aerospace, automotive, forestry and mining sectors. ~ Creating jobs and building our economy with $1.5 billion per year in new infrastructure funding to municipalities to fix roads, bridges and water treatment systems. 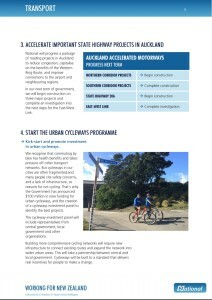 ~ Investing $1.3 billion per year in a national strategy to improve transit and reduce gridlock. ~ Boosting investment in tourism. 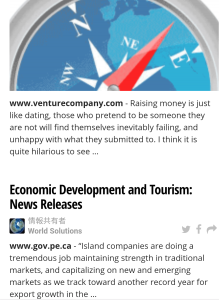 ~ Supporting regional economic development. ~ Helping retrofit over 50,000 homes and apartment buildings. ~ Investing in flood mitigation and disaster preparedness. After decades of Liberal and Conservative downloading and neglect, Canada needs a Prime Minister who understands the benefits of long-term and sustainable investment in our municipalities. Stephen Harper’s lost decade has left communities with inadequate funding and complicated red tape that delays construction. The NDP’s plan will provide municipal partners with significant, stable, predictable federal funding to support their infrastructure and public transit needs over the next 20 years and close Canada’s infrastructure deficit. Tom Mulcair knows that quality infrastructure supports businesses, improves productivity and keeps our cities moving, and that by boosting transit there will be thousands of fewer vehicles on the road. ~ Invest in transit to reduce gridlock and give commuters the reliable options they need. Our Better Transit Plan will reduce gridlock and commute times across Canada by investing in a 20 year plan to support municipal needs. Funding will reach $1.3 billion annually by the end of the NDP’s first mandate. ~ Increase direct transfers to municipalities to build and repair roads, bridges, water infrastructure and transit. With an additional $1.5 billion annually by the end of the NDP’s first mandate, municipalities and communities will be able to make needed investments in their infrastructure priorities to keep our communities moving. ~ Invest in national infrastructure priorities to grow the economy. Our plan will invest in strategic infrastructure priorities like northern roads, bridges and ports to build strong regional economies. We will improve rail safety and infrastructure, and keep the toll off the Champlain Bridge to help commuters while facilitating trade. The NDP will continue support for federal infrastructure commitments under the New Building Canada Fund. We will expand eligibility to ensure that important recreation, cultural, tourist and ferry infrastructure projects are supported. The NDP will work with, not against, provinces, territories, Indigenous governments and municipalities to make smart investments while rigorously respecting their jurisdiction. Our plan will simplify application processes by removing mandatory P3 requirements in order to speed up construction and reduce federal interference in local priorities. By year four, the NDP’s plan will create 54,000 construction, manufacturing and transit operations jobs across the country and add $4.5 billion to Canada’s GDP. Unlike Justin Trudeau’s reckless promise of years of deficits and future cuts, the NDP’s commitment increases investment sustainably each year to grow the economy while balancing the budget. Canada can no longer afford to stand on the sidelines when it comes to tackling catastrophic climate change and transitioning to a cleaner, greener economy. After almost a decade of Conservative government, Canada’s international reputation has suffered as a result of the failure to diversify Canada’s economy and to transition to clean energy and technologies. The vast majority of Canadians have clearly called for the federal government to take a leading role in the fight against climate change and in transitioning Canada to a cleaner economy, but Stephen Harper has refused. The NDP understands that developing Canada’s clean energy sector will stimulate the economy, create jobs and reduce greenhouse gases. ~ Improving energy security, affordability and reducing pollution by investing $100 million in renewable energy development in northern and remote communities. ~ Supporting local sustainable development leaders by investing $150 million in our communities through the Green Municipal Fund. ~ Providing support for improved passenger rail infrastructure and restoring funds cut from regional rail services across Canada. ~ Reducing water pollution by investing $200 million in wastewater infrastructure in small communities. ~ Preventing damage from natural disasters by investing $400 million in flood mitigation measures and seismic upgrades for schools. The NDP will also strengthen disaster relief financial assistance arrangements with provinces, and invest $9 million annually to develop emergency plans and provide equipment and training for first responders. ~ Making the federal government a leader in electric transportation and energy efficiency. The NDP will create federal targets for the electrification of federal fleets and strengthen Canada’s green procurement policy to reduce long-term fuel and maintenance costs, including the installation of 150 electric vehicle charging stations on federal properties across Canada. ~ Introduce Green Bonds so that Canadians can invest in a cleaner economy. Green Bonds will provide low-risk financing of up to $4.5 billion for clean energy development, climate resilient infrastructure, commercial and industrial energy retrofits, and other sustainable development projects. Green Bonds will be independently invested and managed, while providing Canadians with a government-backed, reasonable rate of return. Tom Mulcair knows that the right choice – the only responsible choice – is for Canada to commit to an approach based on sustainable development. Not only is it the right thing to do, but it will also help ensure our long-term prosperity as a nation in a competitive global economy. We must start working with the world and stop working against the planet. Under Stephen Harper, Canada’s climate record has lacked leadership and been criticized by the United Nations for falling behind many other countries. For decades, Conservatives and Liberals have promised and failed to reduce Canada’s greenhouse gas emissions and even joined together to defeat Jack Layton’s Climate Change Accountability Act. Reducing greenhouse gas emissions and making polluters pay for the pollution they produce are part of the NDP’s plan to grow the economy while protecting the environment. NDP climate change initiatives will be undertaken in collaboration with provinces, territories, municipalities and Indigenous governments. Federal carbon pricing revenues will be returned to the provinces so that they can be reinvested in greenhouse gas reduction efforts. ~ Work with provinces and territories to develop a pan-Canadian cap-and-trade system that sets concrete emissions limits for Canada’s major polluters. The NDP initiative will recognize efforts already underway in provinces like British Columbia, Alberta, Ontario and Quebec, and will allow jurisdictions to opt out if their own carbon pricing plans meet or exceed federal standards. ~ Reintroduce Jack Layton’s Climate Change Accountability Act to make certain that Canada meets its long-term target of reducing greenhouse gas emissions. Tom Mulcair’s record as Quebec’s Environment Minister means Canadians and the international community will be able to count on Canada’s NDP government to make polluters pay and do our part on climate change. 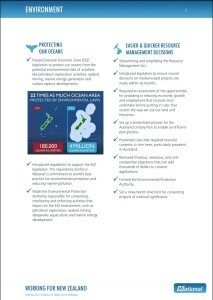 ~ Affirming government’s strong role in environmental protection and assessment. ~ Ensuring and supporting public participation in decision-making. ~ Incorporating consideration of cumulative effects, regional assessments and greenhouse gas impacts for all major projects. 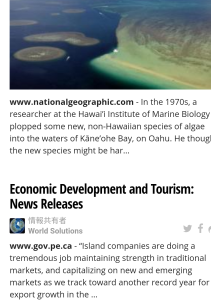 ~ Move quickly to complete all proposed national parks and national wildlife areas, starting with Qausuittuq (NU). Others we will move on are Thaidene Nene (NWT), Mealy Mountains National Park Reserve (NL) and Edéhzhíe National Wildlife Area (NWT), and expanding the Rouge National Urban Park (ON). ~ Recommit Parks Canada to prioritizing their legal obligation to maintain or restore ecological integrity as the first priority for park management. ~ Update Parks Canada’s national park system plan to focus on expanding parks where needed to protect their ecological integrity, creating new parks to improve representation of natural regions, and improving ecological connectivity between national parks and other protected areas. ~ Review Environment Canada’s protected areas system, and develop a clear vision and plan for protecting more nationally significant wildlife habitat. ~ Review and update the National Conservation Plan to articulate a clear path towards achieving our Aichi 2020 targets, working with the provinces and territories, Indigenous communities and other stakeholders. As a country, we need to do more to protect and preserve our oceans. The NDP will meet Canada’s 2020 target of 10% of our oceans protected. Canada has only protected 1.1% so far. We will set a 2017 target to formally dedicate those under existing consideration. Here is Canada’s Green Party’s manifesto in October 2015. Excerpts are on our own. By some accounts, the Canadian economy is performing quite well. But national prosperity is more than just the exchange of dollars. The gross domestic product (GDP) – our national bottom line – is a measure of money changing hands without regard to whether we are reducing social inequalities, advancing sustainability, or safeguarding our natural capital of primary resources such as wild fish populations, natural forests, and fertile soils. Oil spills and clean-up costs actually increase local GDP, as Kinder-Morgan’s submission to the National Energy Board boasted in an ill-conceived appeal to silver linings in the event of disaster. Most economists agree that GDP is a poor measure of economic well-being or quality of life, yet our government continues to use it as the basis for its most important taxation and policy decisions. The Genuine Progress Indicator (GPI) is a new and innovative accounting method that embraces a more systematic and comprehensive definition of well-being. Literacy, health and fitness, housework, family time, public infrastructure, cultural institutions, community volunteerism, water and air quality, forests, farmland, wetlands, and employment are all measured by the GPI. Other countries, led by France following a ground-breaking study by Nobel award winners in economics Joseph Stiglitz and Amartya Sen, are working to broaden measurements of prosperity beyond the GDP. Canada needs to catch up. Canada’s national rail systems are in decline. We are the only country in the Organization of Economic Cooperation and Development (OECD) with no national transportation strategy. While Europeans have highly efficient inter-modal connectivity, with high speed rail linking downtown cores to airports, with bicycle lanes allowing people to move around cities safely, efficiently and pollution-free, with streetcars in the downtowns and even rural areas serviced by bus and rail, Canadian communities are increasingly stranded. Except for Vancouver, which has a downtown to airport rapid transit line built for the 2010 Olympics, and Toronto with a system currently under construction, nothing links our downtowns to airports other than a stretch of gridlocked traffic. Even along the Windsor-Quebec corridor, passenger rail is increasingly infrequent and outmoded. In much of Canada, rail routes that once moved thousands of people are abandoned. Edmonton to Calgary, Saskatoon to Regina, Halifax to Sydney have all been axed, despite their profitability. Even the tracks for freight between Truro and Cape Breton are being abandoned, and with them any hope of re-establishing passenger rail service. Sir John A. Macdonald understood that to be a nation, to have a sense of shared identity and common purpose, Canada needed effective east-west links in communications, in energy delivery, and in transportation. 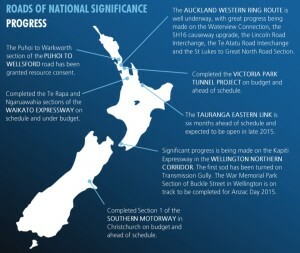 To renew this ‘national dream’ today requires a complete overhaul of our rail system for both passenger and freight. It will mean wherever possible shifting cargo containers off highways and onto freight trains, driving the development of freight distribution nodes (off-loading containers onto local trucks) along new ‘green corridors’. It will require a comprehensive plan for Alberta’s bitumen to increasingly process it in Alberta and stop over-burdening our rail system with rail cars loaded with bitumen for export. The rail system changes will, over time, move to separate lines for passenger trains, particularly in well populated corridors. At the moment, freight owns the tracks and controls the traffic signals. Passengers are at the mercy of freight. New high-speed commuter trains will almost halve the travel time between Toronto and Ottawa and Toronto and Montreal to about two and a half hours. With downtown-to-downtown service, the train will be faster than the plane, when security and other airport delays are factored in. Reducing air travel will reduce greenhouse gases and remove the needto expand airports or build new ones, including the Pickering airport near Toronto. Better rail service will take cars off the roads between major cities, reducing air pollution, congestion, and loss of life in traffic accidents. An improved rail system will make Canada more economically competitive and provide thousands of new jobs. • Support the trucking industry, reducing pollution through add-on generators to avoid the need to idle to maintain air conditioning and refrigeration, while ensuring the right fit of trucking in a more efficient, rail-based intermodal system. Urban sprawl means commuters crawl. More roads don’t solve the problem; they make it worse. Gridlock means more air pollution and more GHG emissions. A transition to efficient light rail transit and coordinated buses will take cars off our roads, breaking the cycle of an increasing number of cars on increasingly-crowded roads to make our cities more livable. Urban Canadians need their garbage collected, good transit services, safe roads, and dependable water supplies. They also want new investment in green urban infrastructure including recycling, mass transit, energy efficiency upgrades to buildings, water conservation, and community amenities like parks, sports fields, and arts, culture and community centres. Underlying this is an urgent need to replace aging sewer systems, roadways, and water pipes. All of these are municipal responsibilities, but Canadian municipalities simply don’t have enough money to do it all. According to the Federation of Canadian Municipalities, 50% of Canadian tax revenue is spent on federal programs, 42% goes to the provinces and only 8% goes to municipal governments. Canada’s biggest fiscal imbalance is the imbalance between municipal governments and everyone else. • Fund ‘Green Cities’ initiatives, ensuring (through contractual agreements) that the funding is not used in ways that encourage urban sprawl, but instead to reduce sprawl and GHG emissions, conserve electricity and water, increase densification, expand convenient, safe, reliable and affordable public transit, and build cycling and walking paths. o Strengthening testing for BSE by implementing 100% testing (testing of every slaughtered animal) as soon as the process of detecting BSE in blood samples is perfected. o Promoting heritage seed banks and seed exchange programs. o Encouraging organic farming methods to improve farm profitability and sustainability. o Encouraging and supporting the consumption of locally-grown food by promoting adequate shelf space in grocery chains for products from local farms and local food processors. o Ensuring that developers of genetically engineered crops are liable for any damage those crops cause. o Eliminating the dumping of food into the economies of developing countries. o Providing sufficient fiscal incentives to other levels of government, including municipalities, to preserve farmlands under their jurisdictions. o Creating a national Environmental Farm Plan Program to provide new funding sources for implementation at the farm level. • Repeal changes to the federal Fisheries Act found in spring 2012’s omnibus budget bill C-38. 5. Improve public participation in decision making, under the principles of the Oceans Act, in particular engaging coastal communities in local fisheries management. 10.Instituting mandatory energy audits of buildings that become available for sale and requiring that the audit results be made available. 10. Provide GST credits for all materials used in buildings that are LEED® Silver or better. • Develop peak power production from burning demonstrably sustainable agricultural and forest waste as necessary to meet peak power demands but within the constraints of maintaining soil nutrients. • Work to establish a Strategic Petroleum and Natural Gas Reserve to address secure domestic petroleum supply in the event of shortages both short term and long-term, a Natural Gas Emergency Preparedness Plan that addresses potential natural gas supply shortages, and an Emergency Preparedness Plan to address other energy supply crises. … We advocate a renewed federal government role in water management, focused on strong regulations and programs created in collaboration with provincial and municipal governments. When it comes to our vision for freshwater, the Green message is clear: Keep it. Conserve it. Protect it. • Keep it. Pressure is mounting to export freshwater south of the border, with trade agreements such as the North American Trade Agreement (NAFTA) leaving us susceptible to relinquishing control over our water. The Green Party supports current Federal Water Policy that emphatically opposes large-scale exports (bulk exports) of our freshwater. • Conserve it. The federal government must work to ensure sustainable use of our water resources and at the same time maintain and improve access to safe water for all Canadians. This includes water metering and pricing that both reflect a fair value for water and foster efficient use, and regulations that protect and enhance water quality and ensure that Canada does not become a haven for water-wasting industrial technologies. • Protect it. To protect and restore freshwater ecosystems and their ecological services (e.g. as habitats for fish and freshwater species, as domestic water supplies for energy-generation and recreation, as sources of water for irrigation and other economic uses) the federal government has to use its powers, including the Fisheries Act, and its role in inter-jurisdictional water sharing. This is especially important when considering the changes in quality and quantity of Canada’s freshwater that will occur due to climate change. The Great Lakes’ levels will fall, resulting in higher concentrations of toxic chemicals and other pollutants. B.C. rivers will become over-heated, preventing salmon spawning; and farmers will face increasing drought. The Athabasca River is already experiencing significant declines in flow and water quality due to climatic impacts and oil sands developments. 7. Enhance the capacity of federal departments and agencies to protect and restore the health of aquatic ecosystems. 7. Review federal agricultural subsidies and develop transitional strategies to shift production away from water-intensive crops toward less water-intensive local sustainable agriculture. c. Placing a moratorium on further oil sands development (i.e. increases in annual production). 5. Strengthen the Great Lakes Water Quality Agreement to ensure it deals with emerging issues such as endocrine disrupters and pharmaceuticals. 2. Link research spending in the natural and social sciences to water policy goals to ensure our higher education institutions create the knowledge base needed for 21st century water management (e.g. emerging issues such as endocrine disrupters, pharmaceuticals and toxics, instream flows and sustainable groundwater yield, climate change adaptation). • Recognize the legitimate right of the people of Quebec to freely and democratically determine its full and undiminished sovereignty through a clear majority vote in Quebec on a clear question in favour of secession, provided it is politically and legally recognized by the international community. Here are the manifestos of a part of the current opposition parties (@AustralianLabor; @Greens) in July 2016. Excerpts are on our own. 1. Make Australia a Leading Renewable Energy Economy by ensuring that 50% of the nation’s electricity is sourced from renewable energy by 2030, providing the Clean Energy Finance Corporation with more certainty and more flexibility with less red tape and more technology options, and developing new community power projects. 2. Cleaner Power Generation by ensuring that the modernisation and diversification in Australia’s electricity generation from old heavy polluting coal fired power stations to modern clean energy is an orderly transition, with meaningful support for workers and communities. 3. Build Jobs and Industry by maximising the job opportunities from clean energy and clean technology, while also securing the future of critical Australian industries through a Strategic Industries Task Force. This will be supported by a Strategic Industries Reserve Fund of $300m to support the transition of key industries to 2020. 4. Cut Pollution through an Emissions Trading Scheme with access to international offsets, placing a legal cap on the emissions of large polluters through a cap and offsets scheme, while supporting industry by ensuring access to international carbon offsets. 5. Capture Carbon on the Land by reinvigorating the Carbon Farming Initiative to encourage carbon storage in agriculture, and taking decisive action to deal with broad scale land clearing. 6. Increased Energy Efficiency by doubling Australia’s national energy productivity by 2030 and implementing new emissions standards for motor vehicles to cut pollution on our roads. – Implementing the funding goals of the 2016 Defence White Paper, including raising Defence funding to 2 per cent of GDP by 2020‑21. – Building 12 Future Submarines in South Australia, and mandating that at least 70 per cent of the work is done in Australia. – Maintaining Australia’s strategically vital naval shipbuilding industry by implementing a continuous build of surface warships and ending the Abbott-Turnbull Government’s practice of denying local shipyards the opportunity to compete for work. – Continuing to strengthen defence cooperation with the United States, including by redressing the Abbott-Turnbull Government’s neglect of the US Force Posture Initiatives in Australia’s north. – Reforming the means by which ADF pay and conditions are determined and putting an end to the Abbott-Turnbull Government’s cynical attempts to cut the pay and conditions of ADF personnel. – Establishing an intergovernmental taskforce to develop a nationally consistent approach to perfluorinated chemical contamination at Defence and Commonwealth sites.